The fist bump. The action for power, congratulations, enthusiasm, and……. health? Handshakes are society’s go to for greetings, however, handshakes are often the culprit of spreading germs. To find out how much bacteria spreads from person to person through various forms of contact, researchers from Aberystwyth University committed an experiment that consisted of two people putting on sterile latex gloves; one dipped his hand into a vat of harmless e.Coli and proceeded to shake the other’s hand. After measuring the amount of bacteria on the clean latex glove, they found that handshakes transmitted 2 times as much bacteria than high-fives and 10 times as much bacteria than fist bumps. This is due to the fact fistbumps have less contact time and cover less surface area. In fact, there have been calls to implement a fist bump only in some hospitals. Moreover, the fist bump is more egalitarian form of greeting as it prevents one party from dominating the handshake. Not to mention, the fist bump has fun alternative versions, such as the turkey, the explosion, the snail; it offers a variety of options to suit any occasion. 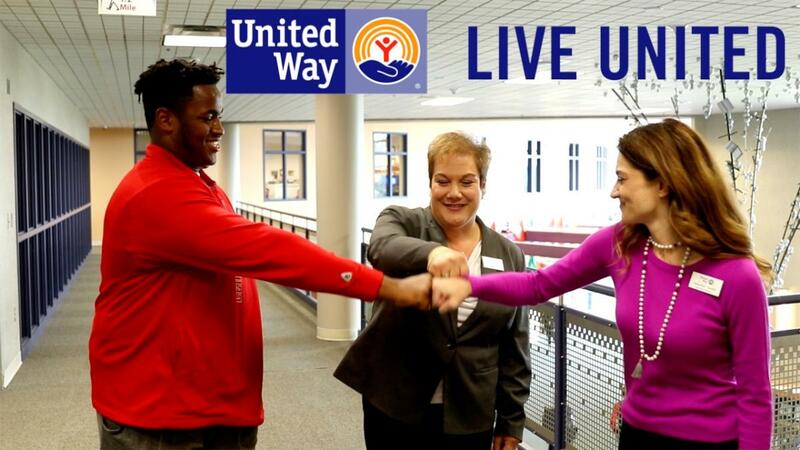 United Way’s 2017 Campaign centers on the image of a fist bump, representing the power that we have to create a tangible impact on our community together. Let’s use fist bumps to greet friends and strangers alike with friendliness and compassion, use them to encouraging one another to boldly tackling tough and gritty issues, and let’s use them to celebrate the success that stems from uniting together and creating change in our community! Here are some tutorials to shake up your fist bump game! Perfect for the fall season is the Turkey: one person uses a fist and the other keeps their hand open as if they’re going in for a high five. Touch the fist to the palm of the open hand and gobble. Of course, here is the classic, the Explosion: proceed to do a normal fist bump then both parties open their fists and pull back. Optional: make explosion noise. Newton’s cradle: like the fun toy and physics problem, one person makes contact with the other's fist; the other person pulls pack their fist then proceeds to swing into the first person's fist. This then continues for each person for eternity according to physics. The snail: one person does a fist as normal. The other slides in front of the fist with their hand in a peace sign until both wrists are touching. And finally, the one most appropriate for the Brainerd Lakes Areas, the Gone Fishin’: one person pretends to reel. The other party slowly is “reeled into” the other fist. Be sure to make them work for it though! If you try these out, be sure to snap a picture or video and post it to our Facebook or Twitter page! We would love to see you connecting with each other in a powerful (and healthy!) way!